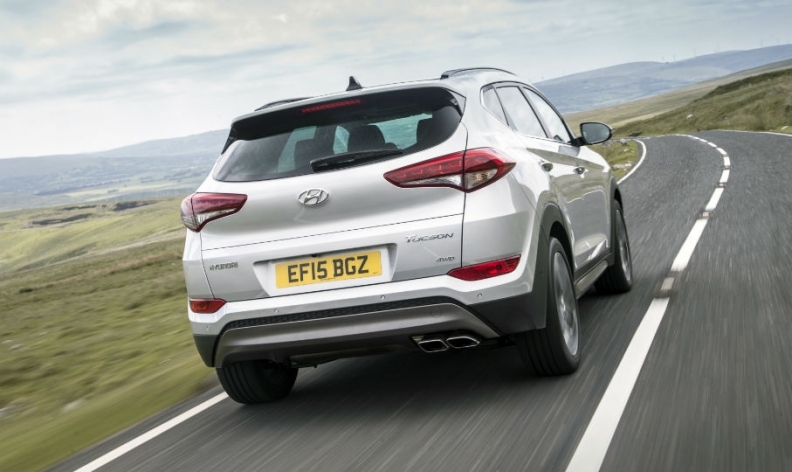 The Tucson's bolder design with large wheel arches and bulging body lines gives the SUV an enhanced road presence that will “turn heads,” Hyundai says. Hyundai says the new Tucson has become the brand’s fastest-selling model in Europe since the model’s sales launch in September. The compact SUV, which replaces the brand’s ix35 in the region, has been given a more rugged design, along with advanced safety and comfort technology. The Tucson is benefiting from booming demand for SUVs and crossovers. It has "exceeded all previous Hyundai model launches in Europe," said Thomas Schmid, Hyundai Europe’s chief operating officer. Hyundai expects the Tucson to change perceptions of the brand in Europe, thanks to its bolder design and upscale features and equipment. The Korean marque still has low brand awareness despite its EU sales rising 11 percent in 2015 to 456,926 vehicles for a 3.3 percent market share. The Tucson’s emotional design will turn heads, Schmid said at the model’s press launch. 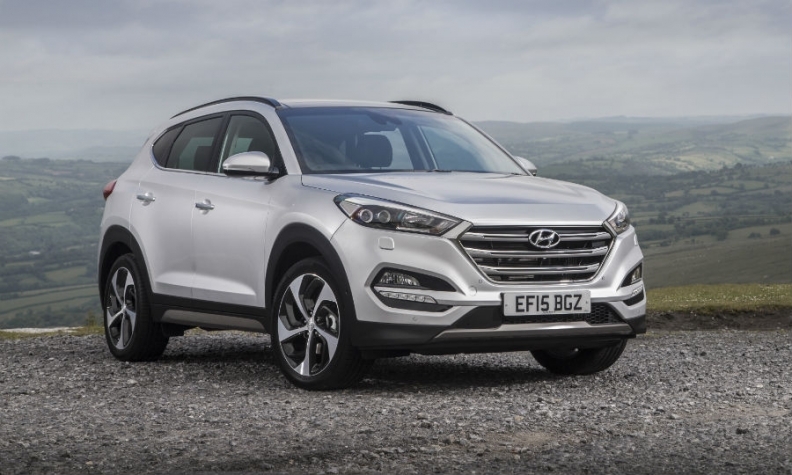 Clinics showed that potential buyers were positively surprised when they found out the Tucson was a Hyundai, he said. “With the ix35, we sold between 80,000 and 90,000 a year. We expect to go to 100,000 or even more very quickly with the new Tucson,” Schmid said. More than a quarter of Hyundai’s sales in Europe come from its SUV range. Hyundai says the Tucson now offers a wide array of new safety technologies more usually seen on premium cars at an accessible price. The SUV’s equipment options include autonomous emergency braking, which recognizes pedestrians in the vehicle’s path at speeds up to 70kph or other vehicles at speeds up to 180kph to either reduce the severity of a collision or avoid one entirely. It also has a system that alerts the driver to other vehicles in the way when reversing from a parking space. The Tucson has automatic tailgate opening. The opening is the widest in its segment at nearly 1.1 meters, Hyundai says. The Tucson is longer, wider and lower than the outgoing ix35. It has a larger, more upscale interior than the model it replaces. The SUV sits on a new platform and its new body shell structure has 30 percent more advanced high strength steel, increasing its torsional rigidity. Hyundai renamed the ix35 as the Tucson in Europe to align it with the nomenclature in other major markets such as the U.S. Unique features: Front seats that can be cooled through ventilation. These are unique to the mass-market compact SUV segment, Hyundai says. Connectivity: The Tucson’s latest-generation navigation system – accessed through the large, non-reflective 8-inch display screen – is more than three times faster than the previous version. Powertrain: The Tucson offers two gasoline and three diesel engines in Europe, along with a seven-speed dual-clutch transmission developed inhouse available for the first time in the brand’s SUV line-up. Cargo space: Hyundai says its tailgate opens automatically when you approach the vehicle and the opening is the widest in its class at nearly 1.1 meters. Owners can store up to 513 liters of luggage in the trunk, with rear seats folded this expands to 1,503 liters.